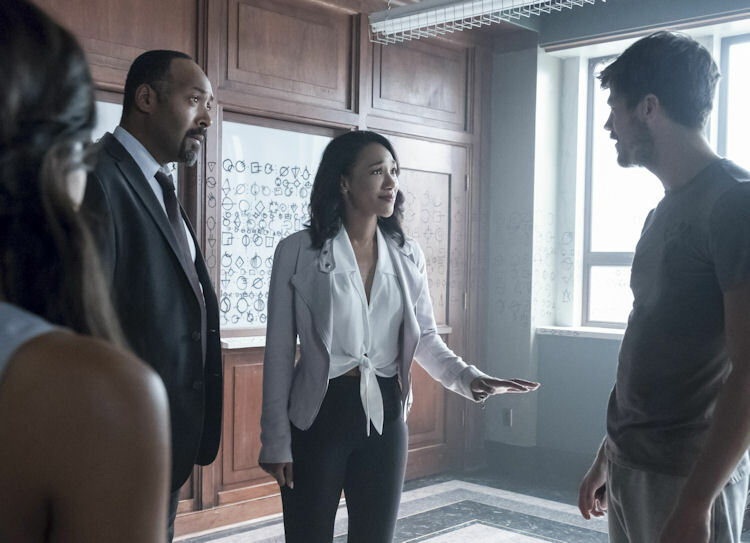 What’s new: Iris has been busy not going to her job as a reporter for the six months Barry has been gone, and she’s been running things at STAR Labs. It’s essentially the same “throw yourself into work so you don’t have to deal with your feelings” thing that Kara tackled this week on Supergirl. Wally and Cisco have been a serviceable crime fighting team, but their capture rate is low. Caitlin is looking less frosty these days, and is working in a seedy bar for seedier characters. When Barry does return, he has a beard and scrambled brains, which really bums everybody out. What hasn’t changed: As we mentioned above, Iris’ aversion to go to her paying job is still intact. Joe still lurches from super cop to super dad. Cisco is still a pun machine. What about the action: Despite the fact that Barry was on the bench most of the episode, there was a fair amount of action. 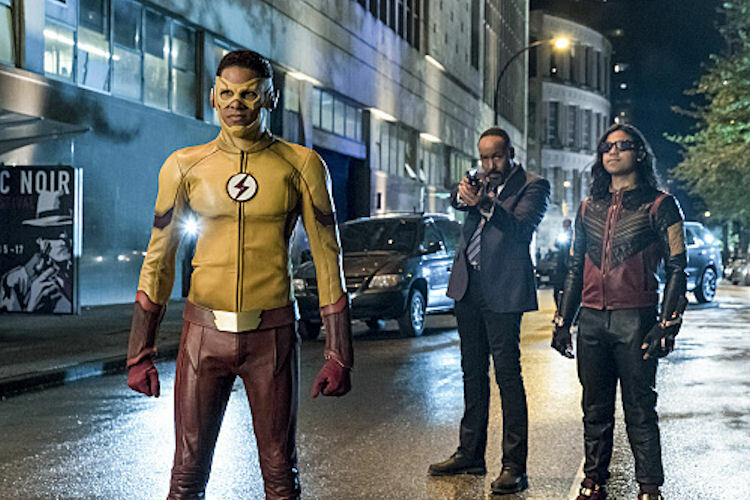 The cold open with Wally and Cisco taking on a teleporting thief did a good job of establishing what life’s been like around STAR Labs since Barry left. Even though the Robo-Ronan looked and moved like it just came off the set of Power Rangers, it was a formidable enough foe. Barry’s return/rescue of Iris looked a little Gumby-ish but we’ll let it slide. Did Barry cry? : Surprisingly enough, no. Iris had plenty of water works for the both of them. In fact, Barry’s time in the Speed Force has seemingly recharged his spirit, and it’s made the mopiest timeline a little less mopey. Now, there’s bound to be more to the story. Either these effects are temporary, or maybe his time without time helped him process a lot of his mental baggage. I have a feeling, it’ll be back to Weepy Barry soon enough. What’s next: This episode was all about the season setup, so there’s plenty of “next” to unpack. I don’t think we’ve seen the last of the side effects of the Speed Force on Barry. Caitlin has a whole Jekyll and Hyde thing going on. Then there’s the small matter of the Future Villain in the spinning chair, who needs a Flash in tip-top shape to accomplish whatever nefarious plans he has cooking up in his supercomputer connected brain. 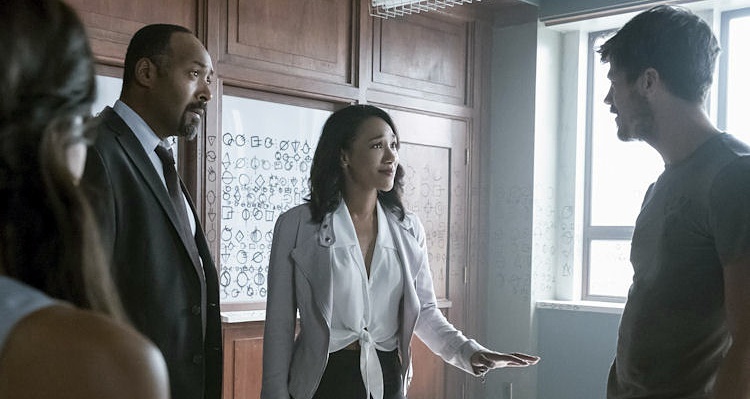 Last impressions: This hour served as a mini reboot of The Flash. The episode started a little dour, as the story was told from the perspective of a grieving and overwhelmed Iris. Wally and Cisco kept things light enough, until Barry was able to gather up his marbles and let his newfound positivity rub off on the rest of the team. 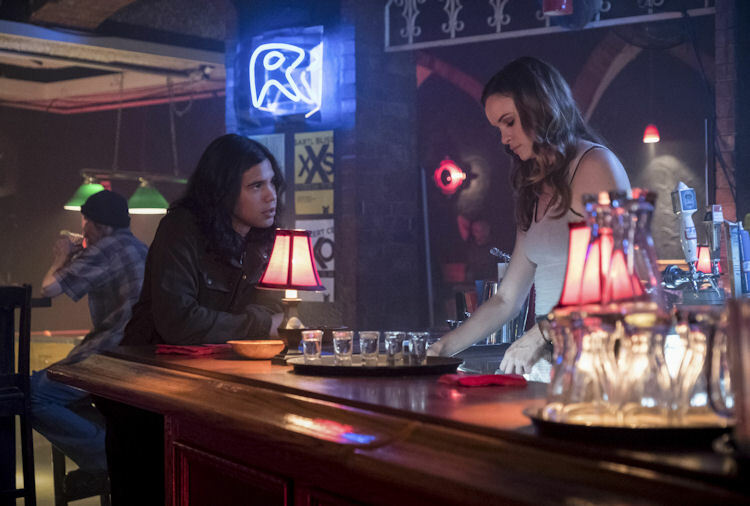 After two pretty glum seasons, it’s nice to see The Flash get back to its more chipper roots. Fans aren’t asking for the relentless optimism they get out of Supergirl, but a Barry Allen who isn’t as heavily burdened emotionally isn’t too much of a request.